STONE CENOTAPH WITH DEDICATORY INSCRIPTION AND CARVED WREATHS AT TERMINALS. SET AT THE CENTRE OF AN ARCHED STONE NICHE. 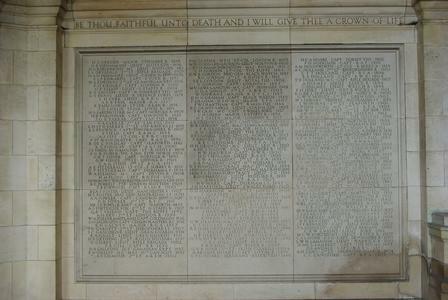 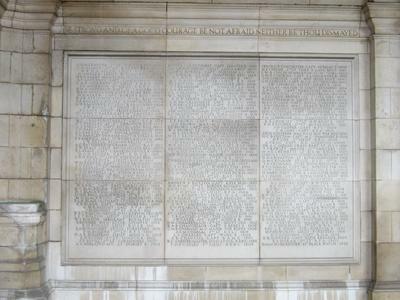 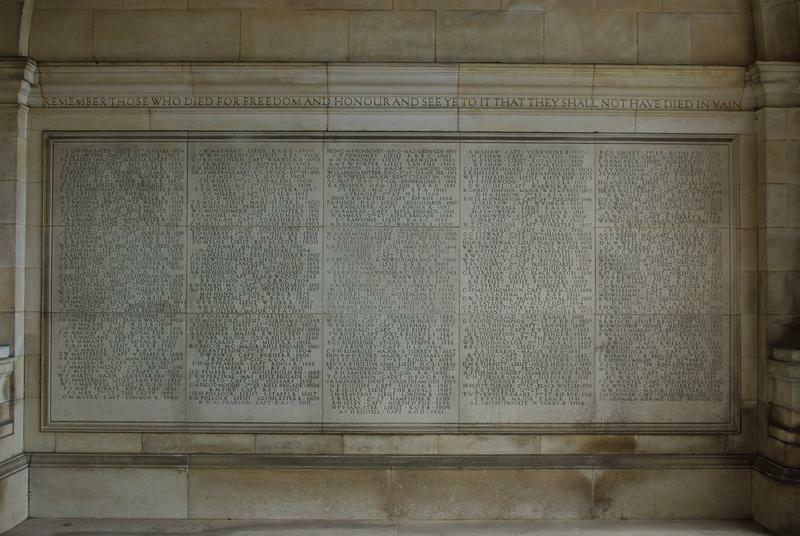 THE NAMES ARE LISTED ON THE SURROUNDING WALL PANELS AND EACH PANEL IS SURMOUNTED BY AN INSCRIPTION IN GOLD LETTERING. 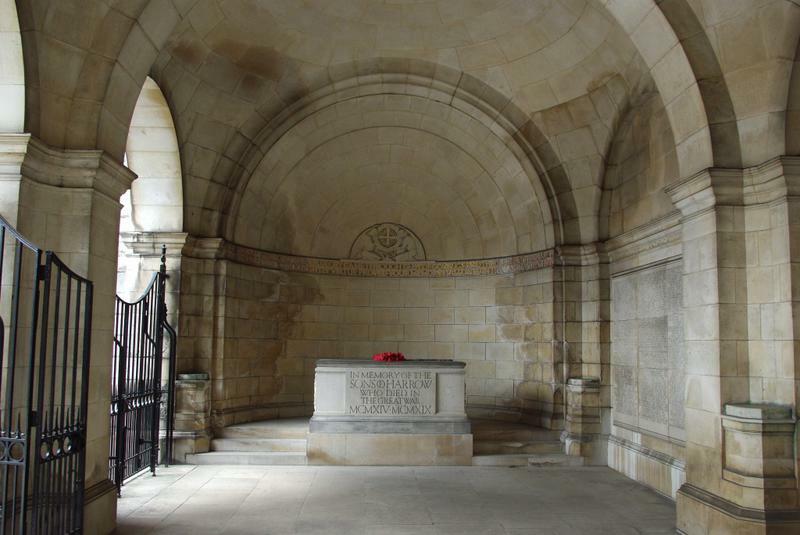 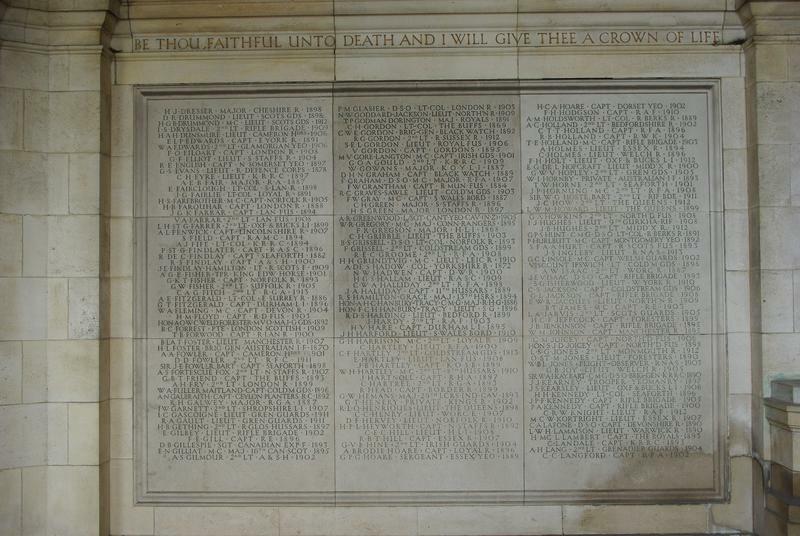 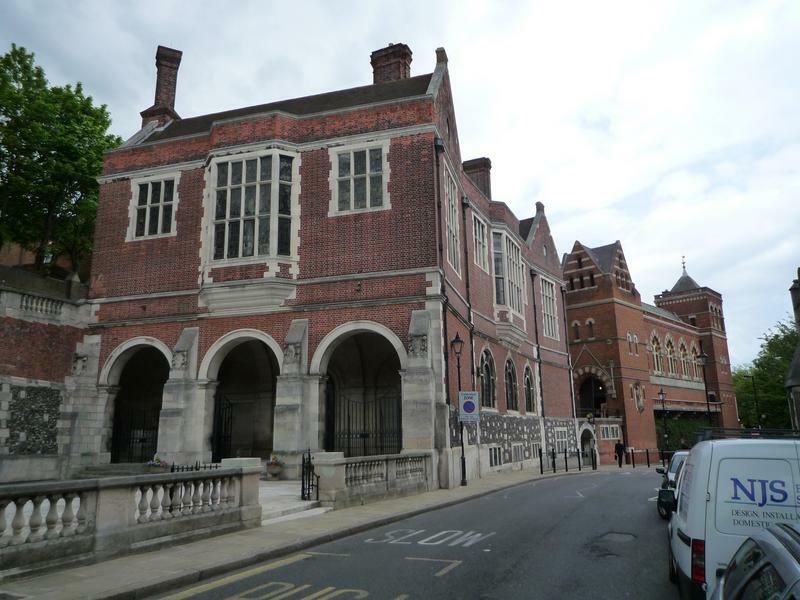 BRITISH PUBLIC SCHOOLS WAR MEMORIALS by KERNOT, C F pp.140-141 Source: Image Library NIWM Published:ROBERTS AND NEWTON 1927 LONDON The War Memorial Building took five years to construct, and includes an inscription from J S Arkwright's hymn, 'O Valiant Hearts'. 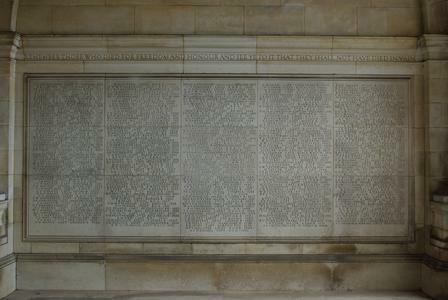 Joiners were A Brockett and W Penfold. 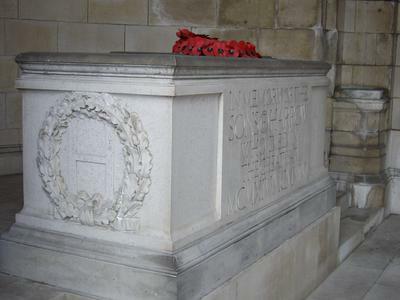 Opened by the Prime Minister. 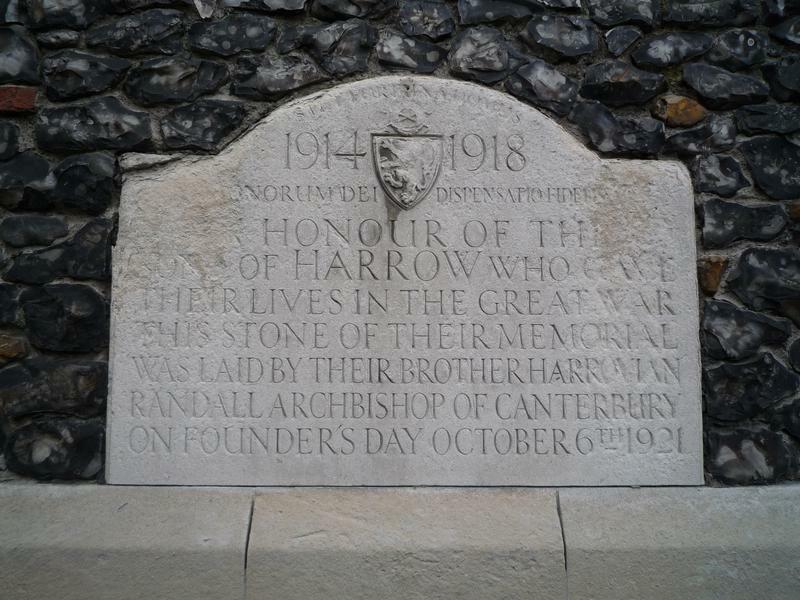 He and the Archbishop of Canterbury were both Old Harrovians.